First, it was San Francisco. Then, quickly, other Bay Area communities followed suit. Now, an even bigger player is joining the ranks and spearheading a larger campaign that should have vapers sounding the alarm. 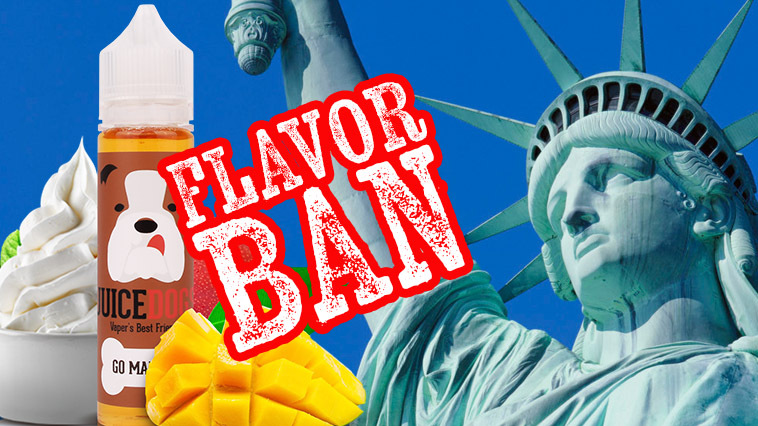 On the heels of San Francisco voters approving a June 5 measure to ban flavored e-liquid products within city limits, New York State is charging forward with Senate Bill 8610, which calls for a state-wide ban. Sponsored by New York State Republican Senator Kemp Hannon, SB8610 serves to cease all sales and distribution of e-liquid devices and products. It passed 14-1, which presumably pushes the bill the Senate. A similar bill, with similar language, is under review by the New York State Assembly. If both bills pass, the New York State Vapor Association announced nearly 3,000 jobs could be lost as e-liquid manufacturing sites and local vape shops will be forced to close. The association fears more than 700 businesses could shutter. The plan to ban flavored e-liquid also features a penalty of $100 per flavored product sold or offered for purchase. Manufacturers could face a stiffer fine, $50,000 per incident within a timeframe of 30 days. New York legislators are not messing around. And it appears more California communities will continue to follow San Francisco’s lead. San Mateo County supervisors voted unanimously June 5 to prohibit the sale or sale offers of flavored products and devices. Pharmacies are also banned from selling tobacco, according to ktvu.com. Want to fight back and protect your right to choose to vape the flavors you want? Join these organizations working diligently to keep vaping legal. Previous articleIs Vaping’s Newest Marketing Ploy Ethical? Next articleDid the American Cancer Society Just Support Vaping?